Archaeologists of the Far Eastern Federal University (FEFU) found three burials of the ancient inhabitants of South America dated from 6 to 10 thousand years ago. The excavations were carried out in Atahualpa anton, Ecuador. The findings belong to the Las Vegas archeological culture of the Stone Age. Analysis of artifacts will help scientists understand the development of ancient cultures on the shores of the Pacific Ocean and clarify the origin and development of ancient American civilizations. Research is being jointly conducted by FEFU and Primorsky Polytechnic University in Guayaquil (ESPOL, Ecuador). Previously, FEFU scientists investigated the famous Neolithic settlement in Real Alto. In 2018, they decided to study an earlier site in order to trace the development of ancient cultures on the Pacific Coast opposite to the Pacific Coast of Russia (Russian Far East). "The archaeological site of Loma Atahualpa is more archaic than Real Alto, its materials are transitional from the Mesolithic to the Neolithic. We excavated three burials that were probably made at different times. This will make it possible to compare their materials and retrieve the new information on the development of ancient cultures in the period from 10 to 6 thousand years ago," said the Alexander Popov, director of the Educational and Scientific Museum of The School of Humanities of FEFU. Expedition materials are processed by experts from several countries. The stone tools found were examined at Tohoku University (Japan) for traces of mechanical activity in order to understand how they were used. There were also sent samples for radiocarbon dating. 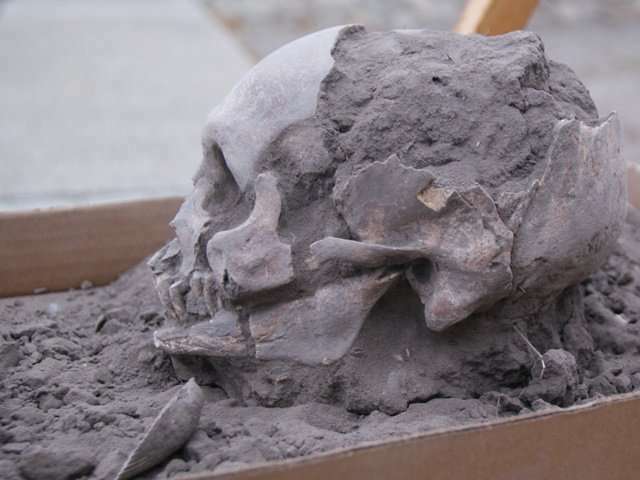 Simultaneously, anthropologists from The Kunstkamera (Peter the Great Museum of Anthropology and Ethnography, St. Petersburg) and the Institute of the Problems of Northern development, Siberian Branch of the Russian Academy of Sciences (Tyumen, Russia) began to study the morphological features of the human remains found. "In the course of working with Ecuadorian colleagues, we have learned that our research attracted the obvious attention of scientists. Last year's symposium, which was organized at the Real Alto Museum, was attended by colleagues from the United States, Canada, Brazil, Japan, Poland and other countries. We also cooperate with partners from several European countries and the Russian Academy of Sciences," said Alexander Popov.